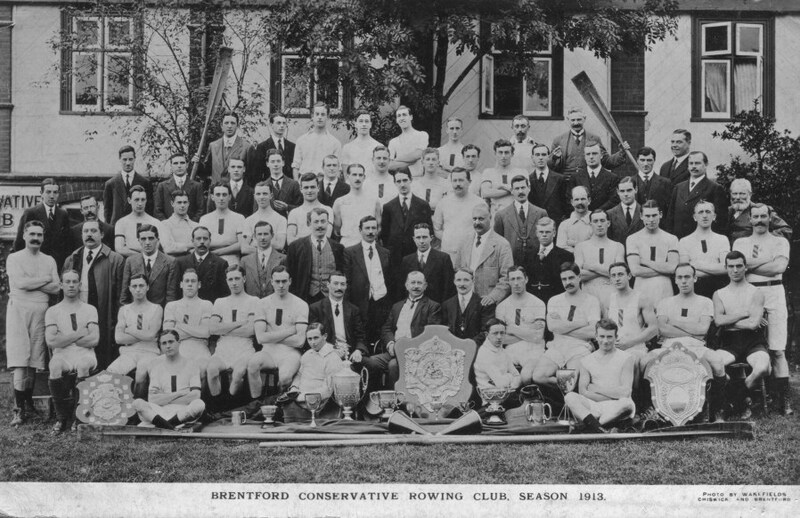 Andrew Hood, grandson of Edison Whitaker Hood, provided these photos of the Brentford Conservative Rowing Club. The first shows around 65 individuals, both rowers and club officials, an impressive number of men involved in this sport. The above photo, by Wakefields of Chiswick and Brentford, was taken outside the Conservative Club (signage to left). 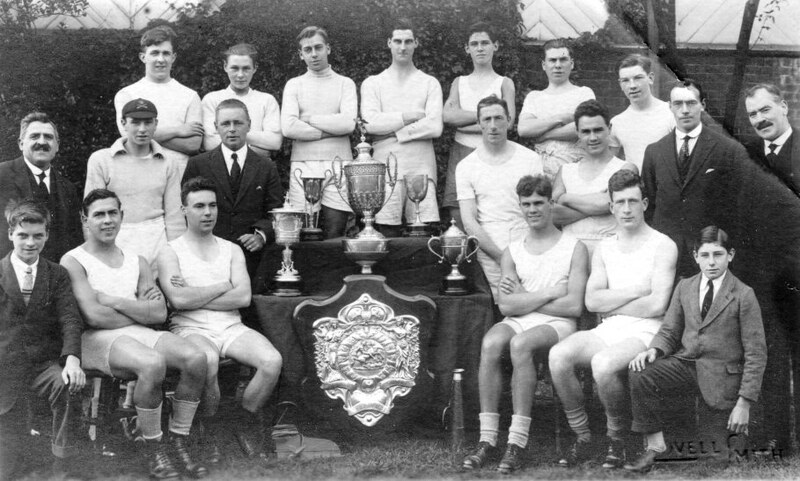 The photo below shows 20 individuals, the Dewar Shield prominently displayed with several other trophies. This photo was taken by (L? )ovell Smith and the background looks similar to that in the Coxed Four photo. The rowers below all have simple white rowing vests whereas in the photo above many have either a plain or striped 'tie' or vertical band. If you can add any names to either photo please get in touch.